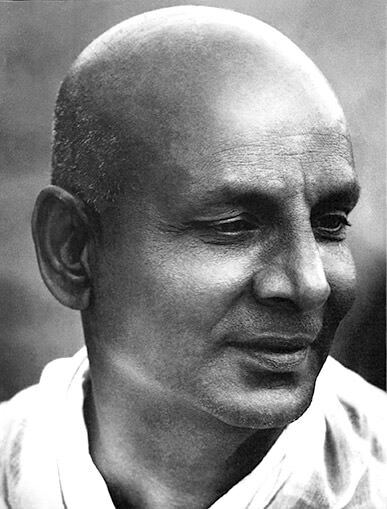 The Sivananda training system aims to teach an authentique Vedic system of yoga and believes that retaining the vitality of the body is a by product of the discipline and not the goal. The system philosophies are summarized in 5 principles. Yoga of Joy is a tantric practice of Tibetan Vajrayana Yoga. The real practice of secret mantra vajrayana involves generating a mind of emptiness with the heart of compassion (tong nyi nyingje’i nyingpo chen) and then transforming that very mind into the pure perception, of the clear light, Rigpa. 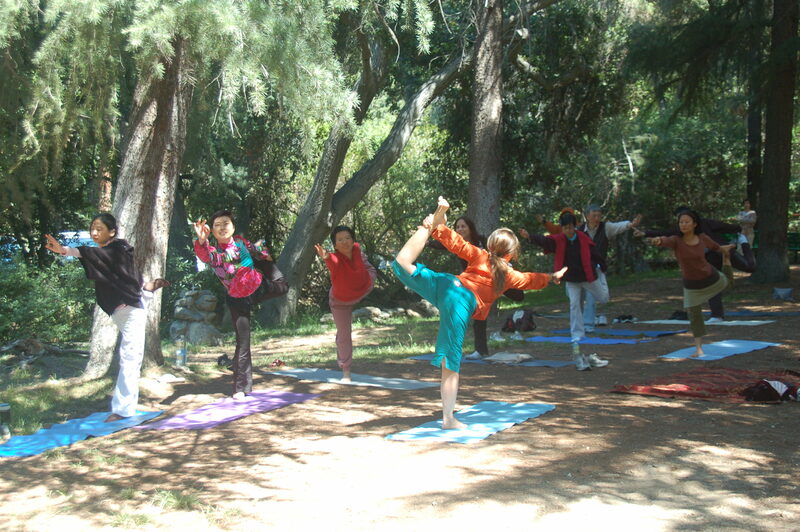 Yoga of Joy is also the Primordial Yoga as “discovered” by Dakini Yuan Miao, during her spiritual awakening. 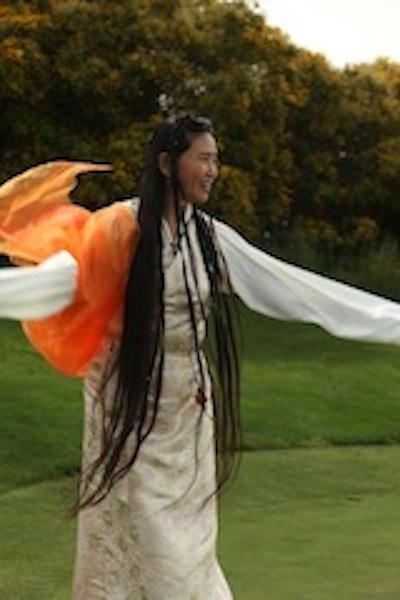 Yuan Miao is a half-Tibetan, half-Chinese woman raised largely by her Tibetan grandmother, Yeshe Tsoumou, (also called “Big Footed Buddha”), a spiritual master herself, whose father was a Rinpoche in the Nyingma lineage of Tibetan Buddhism. Estimates date the origins of primordial yoga back over 7,000 years, Yoga of Joy is a practice of a transmitted teaching with its own particular origin and heritage . Yoga of Joy integrates the phenomenal (physical) and non-phenomenal (spiritual) yoga, the circulation of blood and subtle energy, and the principles of balance between Yin and Yang. It deeply purifies energetic channels of both gross and subtle bodies (physical, mental, emotional) through a concise and effective combination of postures, breathwork, visualizations, mantra and mudra. It is a potent way to directly elevate our consciousness. “Dynamic relaxation” and “peaceful tension” are guiding principles as we impact the sympathetic and parasympathetic nervous systems positively at the glandular and cellular levels, dramatically improving and transforming the flow of blood and qi. Through the regulation of the four elements of earth (skeleton), water (bodily fluids and blood), fire (temperature), and wind (breath), one’s internal feng shui is enhanced, resulting in refinement of the coarse body and a healthy body resistant to sickness and replenishing of energy. It can lengthen, rejuvenate and restore one’s life, while advancing spiritually. The phenomenal aspect includes the eight postures and movements, plus the ninth step known as “Return to Nature”, a spirit energy activation. The non-phenomenal part is the growth of awareness and understanding beyond the nine steps. Growth of awareness and knowledge causes one’s inner capacity to expand. In that process, one’s access to vast latent energy is released and elevated, enabling one to overcome negative thoughts and emotions. Dual cultivation of the physical with the spiritual and the synergistic application of the two, is a special attribute of Yoga of Joy. It elevates, allowing one to see through the illusory masks this world puts on, and connect with the essential nature of the universe. The common translation of “yoga” is “union” or “alignment”, of individual consciousness with cosmic consciousness. Through yogic practice, the human spirit can resonate with universal Truth. With such an alignment, man is then able to leave suffering and find joy. This is the calling and aspiration of Yoga of Joy. The systematic effects of Yoga of Joy reach every part of the body, including the sympathetic and parasympathetic nervous systems, endocrine secretions, major organs, circulation through blood and qi vessels, down to the glandular and cellular level. It starts at the coarse level and penetrates to subtler levels, into the fineness of the 72,000 meridians and the seven chakras, producing and propagating quantum waves, transmitting information from advanced sources of consciousness. Yoga of Joy connects us to our Inner Nature by opening the heart. Once the heart is open, all else follows. Compassion and wisdom arise. Yoga of Joy is a conduit and portal which connects us to Nature and formless, universal energy. It encourages the release of “concepts” and opens us to “emptiness.” Nature guides us to this profound, inner awareness and stillness, a state of high vibrational energy, beyond words and explanations. In this state, we relax, are at ease and experience our true selves. We harmonize and cultivate greater awareness of body, speech and mind; heaven, self and Earth. With humility, sincerity and fearlessness, we can fullfill our true human potential and serve humanity. Yoga of Joy celebrates the true purpose of Yoga, to open the heart and express the reservoir of joy within. Only by freeing the joy within us, can we hope to teach and share it with others. 1. Mantra Yoga: considered “words of power” is a combination of of sacred syllables which form a nucleus of spiritual energy. This serves as a magnet to attract spiritual vibrations, and through constant repetition of the mantra, one becomes that magnet attracting spiritual power of the mantra to oneself and thus becoming aware of the Self. Behind this technique there are working powerful forces which make themselves felt in spite of sometimes the lack of proper understanding. The aim of these mantras is to purify and harmonize the vehicle of the sadhaka (human body) so they become increasingly sensitive to the subtler layers of his own spiritual consciousness. The vibrations slowly rearrange the matter of the different vehicles and harmonize them in such a manner that new states of consciousness can manifest through these vehicles. It is necessary to remember that the eternal consciousness of the supreme is everywhere beating all the time against the wall of our minds and it is only the non-receptivity of the vehicle or the lack of sensitivity which prevents them from bringing it at least partially down into the lower planes. Mantra Yoga is that branch of yoga in which the power hidden in certain combinations of sound are utilized for the unfoldment of human consciousness. 2. Mudras: Considered “mystic symbols”, are shapes formed by the ten fingers. It is believe in Vajrayana that hand gestures serve as a secret keys to unlock the doors to the universe. Both hands serve as the opposing poles of the human body’s electro-magnet field. The hands are also the beginning and ending locations of the six energy channels known as meridians. In China it is said that “the ten fingers connect with the heart because each hand has three yin and three yang meridians.” They also correspond to the five agents in Chinese medicine: metal, water, wind, fire and earth. Because they are well supplied with peripheral nerves the five fingers are intimately connected with the brain and the whole nervous system. Mudras help adjust dysfunction and imbalances in the body by affecting these energy channels. 3. Breathing: Diaphragmic breathing is the most fundamental exercise for all of us, and it is one of the most important element in Yoga of Joy. In the Christian tradition there is a deep connection between the breath and the Holy Spirit. In the Buddhist tradition breath is considered to be the vehicle of mindfulness. In the process of inhaling and exhaling every channel and chakra in the body becomes connected. Breath work practiced in conjuction with the physical postures connects the internal with the external in a way that benefits body and spirit. 4. Visualization: Internal observation is an important component within the tantric tradition, aimed at assisting one to turn the heart inward. At the same time, visualization is a key technique triggering the healing response, by directing the stream of energy where it is needed, thus making the healing effect more powerful. Yogic visualization helps us transcend matter by emptying material constraints that act upon us, so we are free to enter the spirit realm where peace and joy abound. 5. Meditation: Boosts immunity at the physical level by switching the nervous system over to the restful, restorative, immune-enhancing parasympathetic mode. It permits the entire body to relax and the energy channels to open up, so that the energy as well as blood may circulate freely throughout the system, invigorating organs, stimulating glands, and tonifying other vital tissues. Meditation also cultivates the emotional equanimity and positive thinking which are so essential to maintaining health, promoting longevity and generating a pure glow of radiant aura and health. Practiced daily, meditation refills us with essence, recharges our batteries with energy, and rejuvenate our minds with spiritual vitality. The Ninth Step: “Return To Nature” is in fact one’s inner master and we call it here spirit-energy because it embodies the correct characteristics of emptiness – it has no bias, no attachment, and no ignorance. Yuan Miao herself is the catalyst in this step of Returning To Nature. She uses her powerful mantric vibrations to start one’s spirit-energy engine (through the audio CD used in Yoga of Joy classes). Following activation, the mental formation gradually shifts from a controlling to an observing perspective. It watches its own body being adjusted and cured by a deeper, stronger energy. The radiant substrate of spirit-energy has inconceivably strong effect to burn away the matrix of karma. Through the practice of Yoga of Joy, one is building up the capacity for joy, refining the inner resources, so in the face of hardship and suffering one can remain poised and graceful, composed and serene. This is the truest blessing that this yoga can bring to its practitioner. Tadyatha, Om, gate gate, paragate, parasamgate, bodhi-svaha.